● Take advantage of Wiggle’s Price Match Promise, which offers to price match your purchase in the event that an item you’re considering is offered for a lower price elsewhere. The policy is good at time of purchase. ● All orders qualify for free delivery worldwide, but the offer depends upon a minimum spend which varies from country to country. For instance, UK delivery is free on all orders over £10, while US orders qualify for the offer if totaling $83.50 and up. Visit the Shipping section for more details. 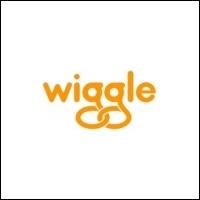 ● Visit Wiggle’s Sale section to take advantage of discounts typically 15-60% for thousands of featured items. Additionally, the brand’s Price Drop section features hundreds of items discounted an additional 1% every day until out of stock. ● Coupons tend to offer discounts on specific products or brands, and there appear to be a couple active at any given time. These include promo codes offering bulk discounts, such as £50 off purchases of £200 or more. ● The site often offers an incentive for signing up for its email newsletter, such as a £5 voucher for being a new subscriber. Cycling, running, swimming, and triathlon gear are just some of the items that you will be able to buy through Wiggle’s website. You can also take a look at their outdoor equipment for camping enthusiasts and people who enjoy being outdoors. The sale section has various items that have been discounted from their original retail prices. If you have a particular outdoor activity in mind but you don’t know the gear that you need, take advantage of the Buyers Guides to help you with your purchase. Customers can also take a look at the “Shop by Brand” tab to browse through an array of items from specific companies. For most up to date offers check out Wiggle on Facebook and Twitter or contact Wiggle Support for any questions.